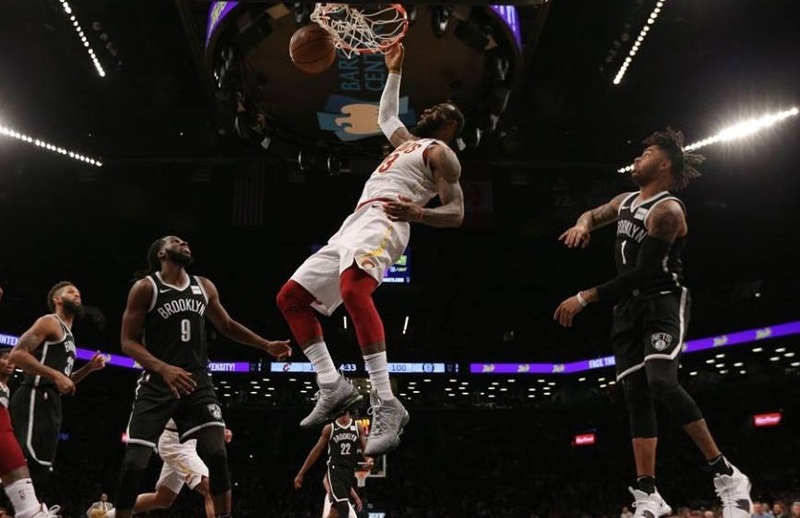 NBA – The defending East Champion Cleveland Cavaliers escape a highly contested game against the Brooklyn Nets in 121 – 114 win at Barclays Center in Brooklyn, New York. The home team (Nets) gives the East Champion a hard time throughout the game, in fact the Nets have more control of the game from 1st quarter through halfway of the 4th quarter not until the Cavs made a big run in the later minutes of the game that hold the Nets. The Cavaliers has now have a 5 - winning streak and currently showing and playing some great basketball this late of the season, especially LeBron James who looks rejuvenated before the trade deadline ends and now playing an all – time high in his NBA Career which later average him a triple double since last month (February). As the season near its end and the Cavaliers has only 9 –games left before the 2017 – 2018 NBA Regular Seasons end, it’s just a matter of time if the Cavs can hold the 3rd spot in the East or lose it? It’s either they can steal the 2nd spot over the Boston Celtics which currently without their best player Kryrie Irving or even drop to a lower position in the East Standing comes playoff time? But all of these are not so important to LeBron James, according to LeBron what is important is just to make it to the playoffs and made a big run for it where it has been their bread and butter since James return to Cleveland and made 3 straight NBA Finals appearance. Meanwhile, Cavs superstar LeBron James played his 73rd straight game this season his most games played without missing any single game, he scored 37 points, 10 rebounds and 8 assist against the Nets. James is also nearing to tie or even surpass Michael Jordan as the only player in NBA history to score in double figures with 866 consecutive regular-season games. No Comment to " Cavs Beat Nets Extending their Winning Streak to 5 "